›Posterazzi SAL900126150 Signing the Declaration of Independence July 4th 1776 Henry Alexander Ogden 1856-1936 American Poster Print - 18 x 24 in. Posterazzi SAL900126150 Signing the Declaration of Independence July 4th 1776 Henry Alexander Ogden 1856-1936 American Poster Print - 18 x 24 in. 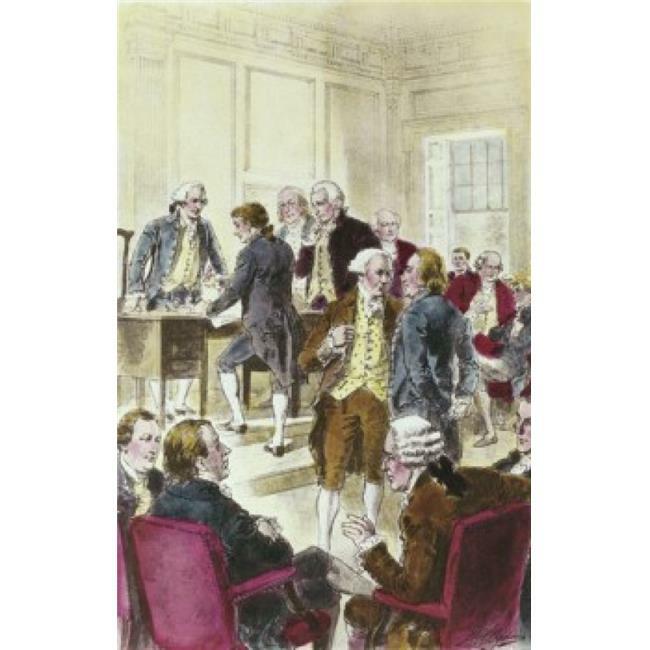 Signing the Declaration of Independence July 4th 1776 Henry Alexander Ogden Poster Print (18 x is a licensed reproduction that was printed on Premium Heavy Stock Paper which captures all of the vivid colors and details of the original. This print is ready for hanging or framing and will make a great addition to your wall decor.